This recipe is a sophisticated twist on a summer camp classic. As a young boy, Cow House Co-Director Frank Abruzzese spent several summers in New Hampshire on the shores of Lake Winnipesaukee at Camp Tecumseh. 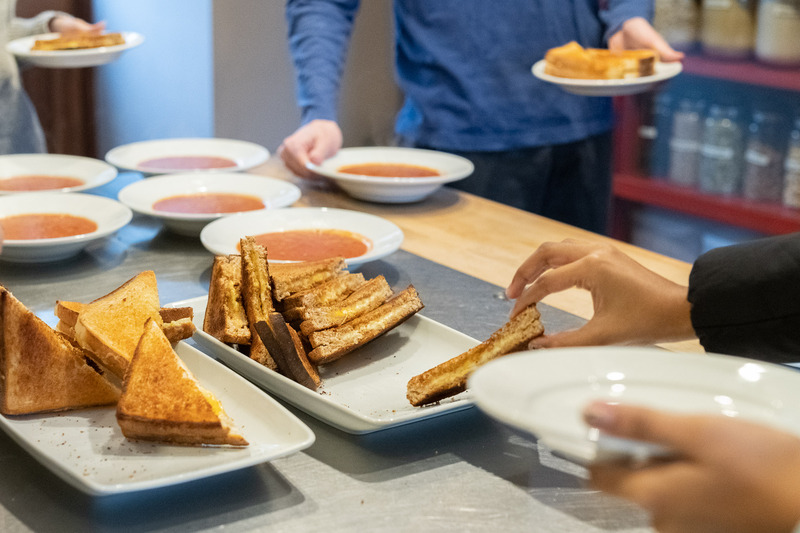 Grilled cheese sandwiches and tomato soup were most definitely a camper favourite and gathering from other peoples’ experiences, this particular combination is a popular one. A few tweaks elevate this dish, the first simply substitutes a good quality cheddar for the more standard American cheese slice. We shred our cheese to ensure an even melt. As always, Kerrygold butter on the bread is key and finally, the added flavour of roasted peppers in the tomato soup is a big step up from the canned variety usually served. 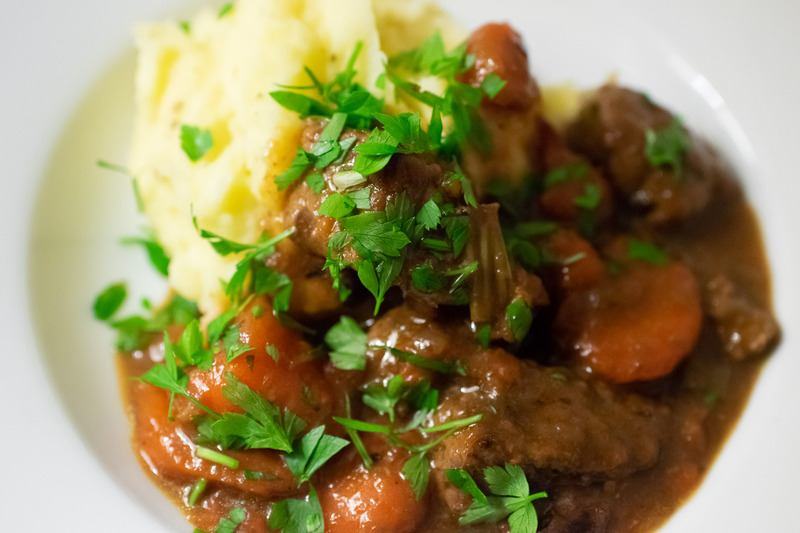 This recipe has been adapted from one of Darina Allen’s classics. 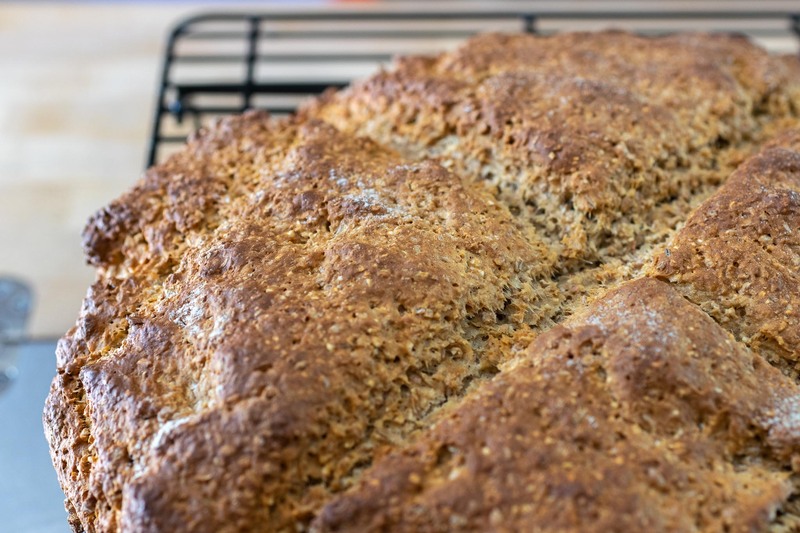 Darina is an enthusiastic advocate for Irish food both at home and abroad, and was instrumental in setting up the Farmers’ Market Movement in Ireland. 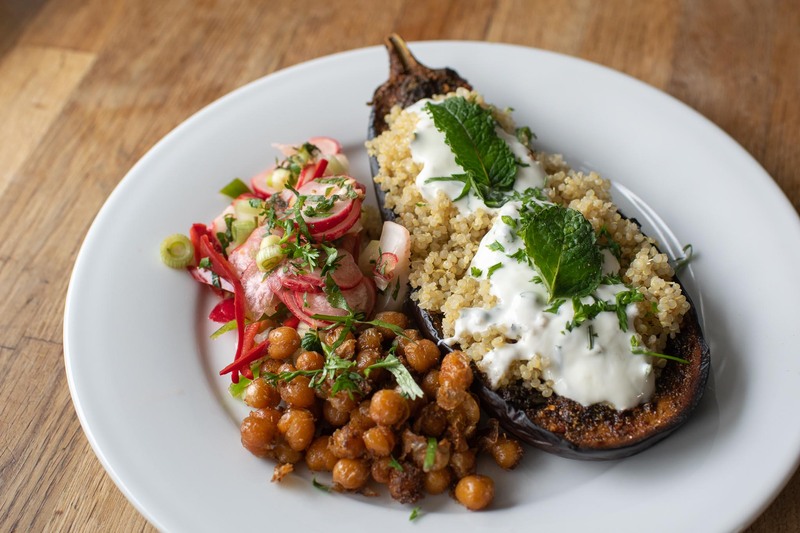 She set up the Ballymaloe Cookery School with her brother in 1983 and has released numerous cookbooks and television series. 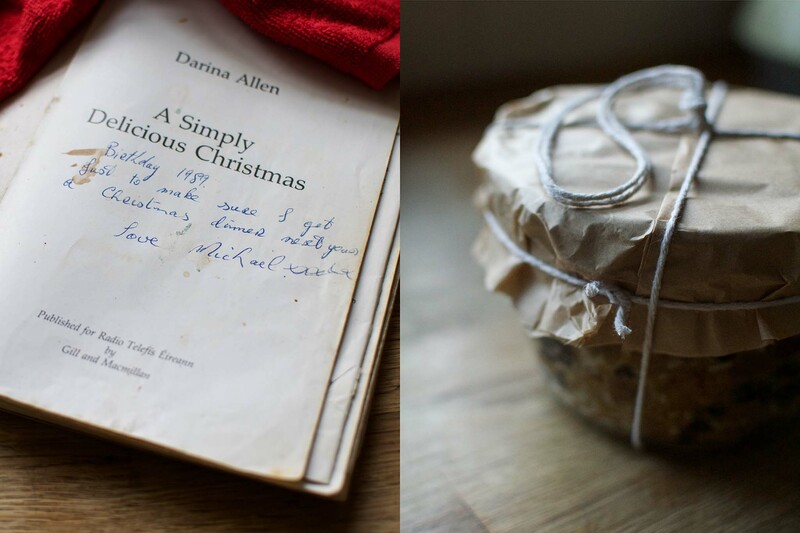 Rosie’s sister Edel adapted this recipe from Darina’s book, A Simply Delicious Christmas. Rosie’s mother, Mary, has been using this book for many years, having been gifted to her by Rosie’s father Michael in 1989. Known for his sweet tooth, we still wonder to this day whether this gift was meant to be a hint! Every year during our summer art program there are always a few birthdays and this chocolate cake never disappoints. Our students will even go as far as pretending it’s their birthday to get Caitriona baking. Sweet treats have always been a particularly special part of mealtime at Cow House and while we keep things healthy, occasionally, you need a bit of something indulgent for the soul. The expectation for incredible deserts started with Rosie’s mother Mary who in the early years, would spoil us with her Pavlovas, Banoffi Pies and Black Forest Gateaus then, Rosie’s Sister Edel kept up the tradition with equally tempting additions. 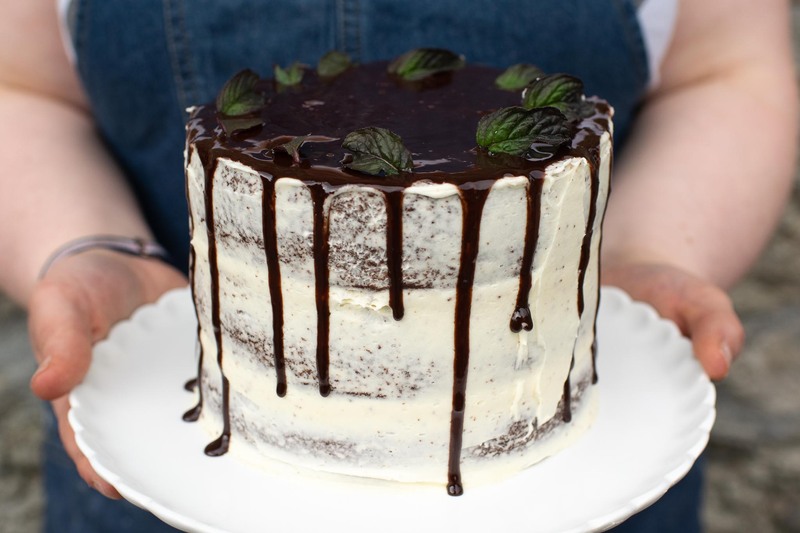 Caitriona now expertly crafts a variety of cookies, pies and cakes that are not only delicious but beautifully adorned with decorative touches.